I tried on every minimal trail shoe on the market. The Pace Glove made me want to laugh, dance, run around, hug people. 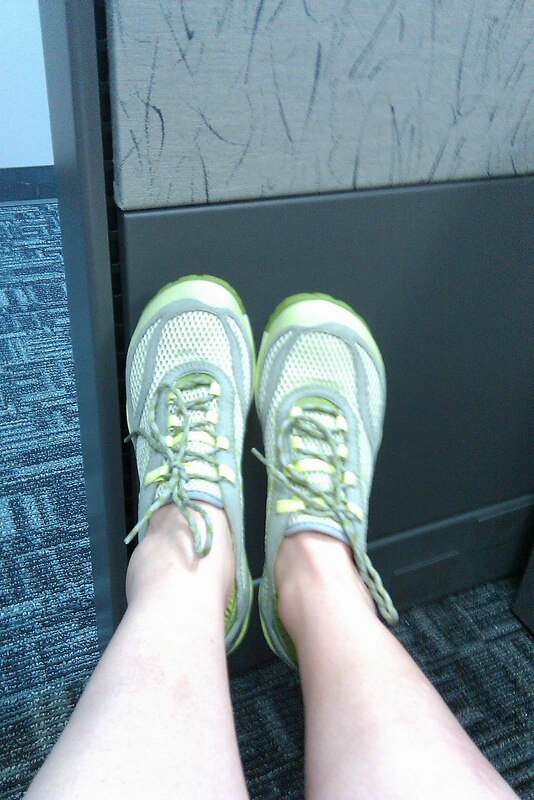 I wore my new pair around the office all day. I didn't want to take them off. Anyway. 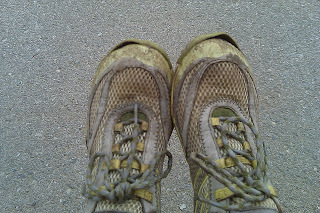 The first week I had these I ran 35 miles in them. Loving them so much, loving them still. 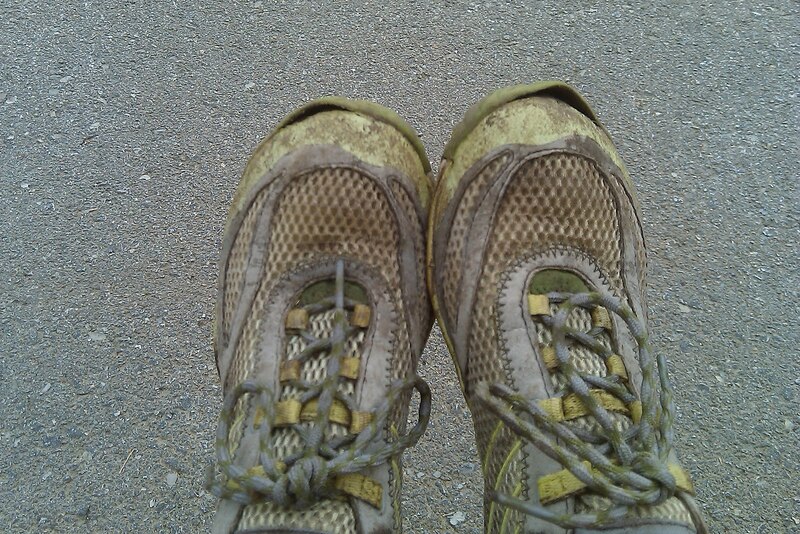 But somewhere on the red trail, the toes of both shoes separated from the soles. Yikes! I pictured myself running in them like huaraches up the mountain. It took a few days of corresponding with Merrell to get my request into the right hands, but the result was that Merrell basically said, "This should never happen to our shoes and in fact we have never seen anyone do this to a pair of shoes before. Clearly this isn't your fault. Don't bother sending them back; we will ship you out a new pair with fastest shipping." And they DID. Merrell knows how shoes are supposed to be done; but wow, they also know how customer service is supposed to be done. And it would've been totally fair of Merrell to require me to send mine back first and wait the 2 weeks that refund exchanges typically take. They went above and beyond for a random runner. 1) Communicate through all the channels. I went to warranty, customer service, and tweeted a message to Merrell explaining the issue and asking how we could move things along more quickly. 2) Send as much info as you can. Merrell's web site tells exactly what to send them to get an exchange process started. I sent the pic of the huarachified Merrells, shown above. 3) If the company's willing, help them be the hero, not the bad guy. Merrell came through HUGE on the hero scale. 4) A philosophical note, always be ready to cut your losses and realize that, Ponzi schemes aside, whatever's gone wrong with your product or service is probably not the worst thing that could happen to a person. Friends, if you're looking for a trail or hiking shoe, check out Merrell. They stand behind their stuff. Good job, Merrell. Really hope I can get your shoes up to the summit for you.